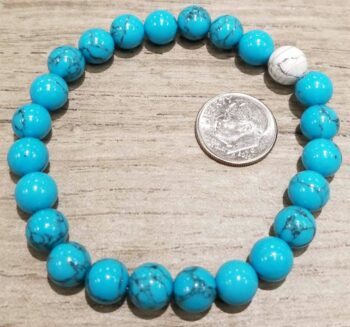 Blue synthetic turquoise and howlite stone beadscombine to make this bracelet! 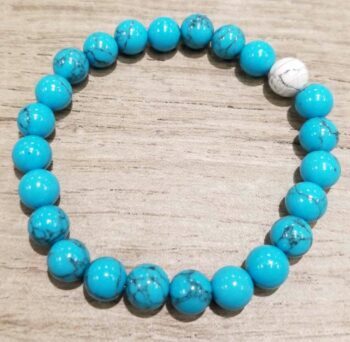 Blue synthetic turquoise and howlite stone beads combine to make this simple yet pretty bracelet! 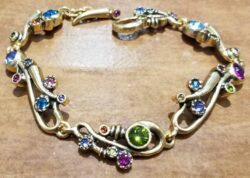 This bracelet is strung on a stretchy elastic cord and fits most small to medium wrists. 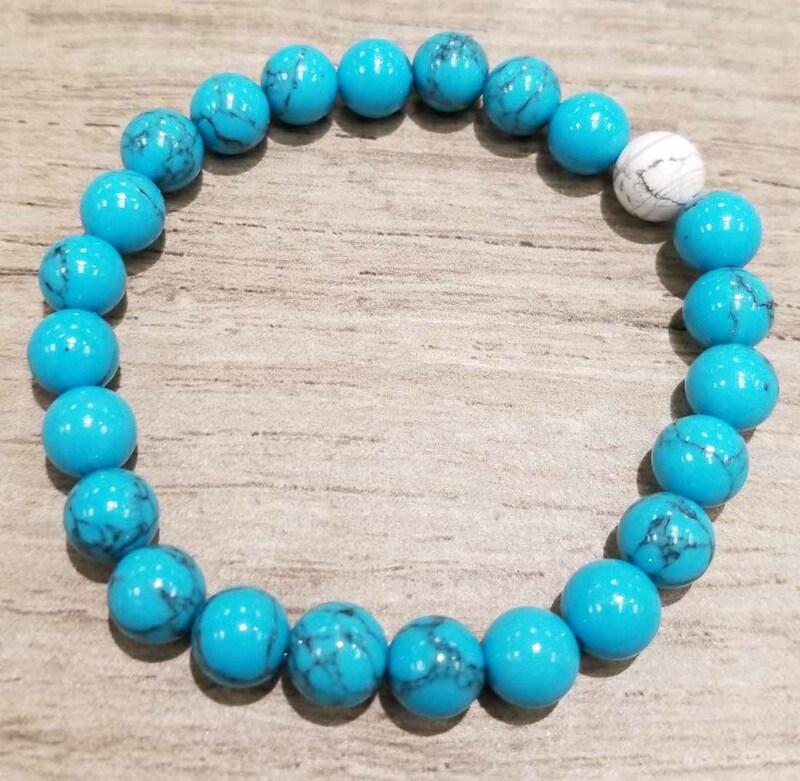 The howlite stone is mostly white with a gray stone matrix. 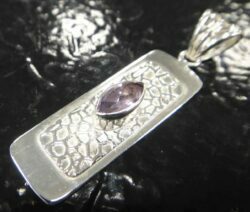 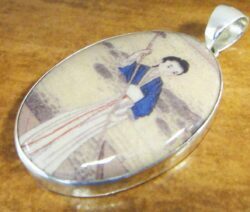 The beads measure approximately 8 mm each. 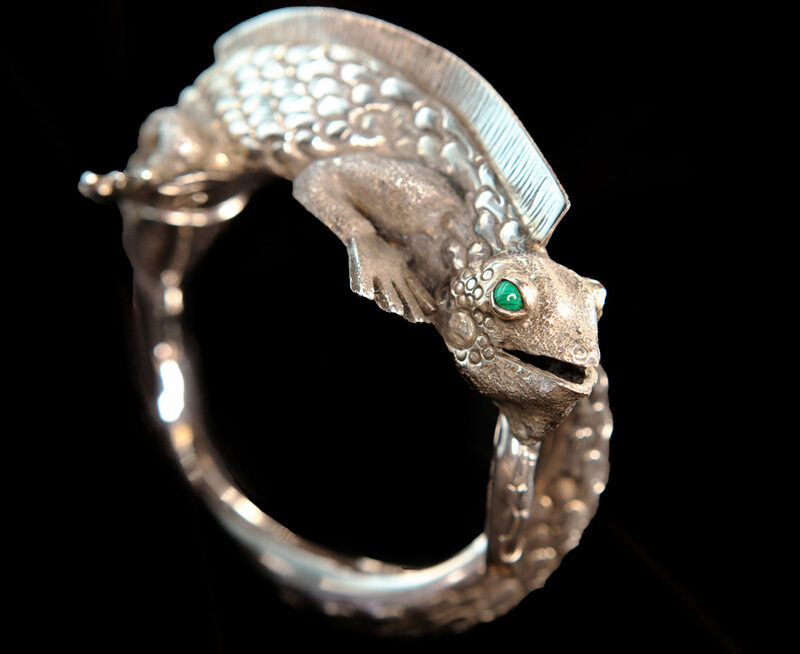 This bracelet itself measures approximately 2.5” across and fits most wrists. 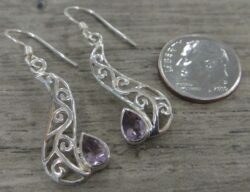 Please note the dime is not included with this bracelet but is shown to help you gauge the size of the bracelet. 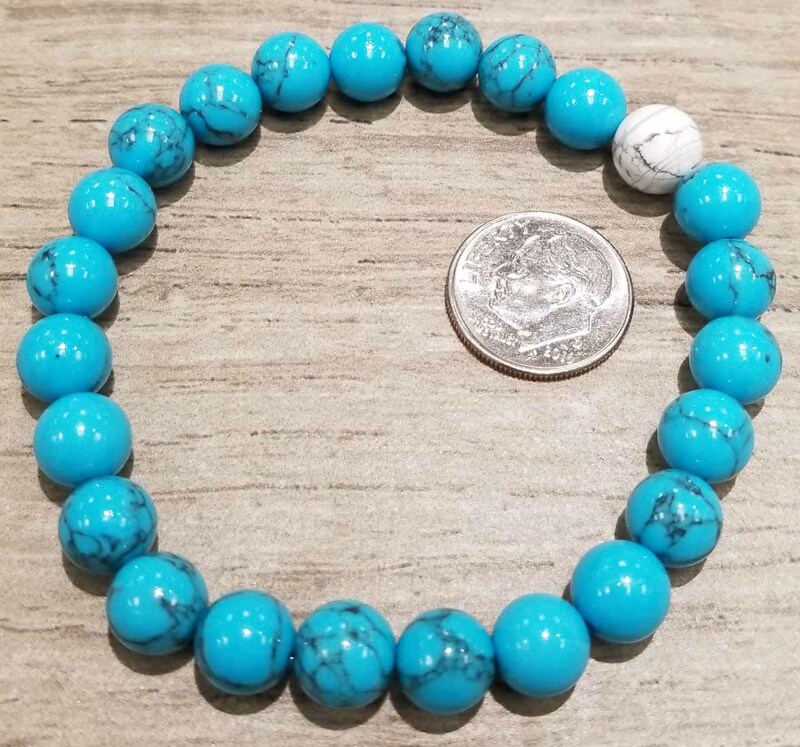 This bracelet is sold individually, but you may want to buy multiple as it is great for staking! 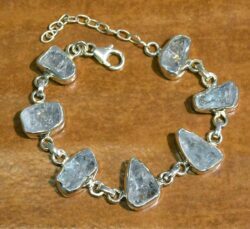 This bracelet would make a great gift for anyone who loves simple design, stacking bracelets, or handmade jewelry.